This summer I was very fortunate to return home to Guam and intern with the Guam Community Coral Reef Monitoring Program. I was able to learn about Guam’s marine life, while working closely Jocelyn Emia guided by Marybelle Quinata, program coordinator, and Val Brown, science coordinator. We decided to complete a mini­case study on seagrass habitat, which are found threatened all over the island due to exposure during extreme low tides. Our goal was to create a baseline that could lead to continued seagrass monitoring and study the various impacts threatening the health of seagrass. My favorite part of the internship was becoming more aware about what was taking place in the marine ecosystem. I realized that most of the threats to the health of marine life is due to human impacts. Guam is the most populated island in Micronesia (around 170,000) with an increasing and booming tourism industry. The increase in coastal development from tourism and infrastructure to support a growing population leads to nutrient pollution, fertilizer runoff, and sewage waste. Snorkeling, fishing, diving, jet­skiing, and off­-roading also have an impact on the reefs and seagrass communities. As Sylvia Earle, a marine biologist, oceanographer, explorer, and author stated, “Our past, our present, and whatever remains of our future, absolutely depend on what we do now.” Jocelyn and I hope that our mini­case study on seagrass can be a baseline for future projects. We also hope that we brought some awareness to the community and that the data we have collected will encourage others to find a potential solution to save our seagrass. See our mini-case study presentation here. References: Tsuda, R. 2009. Seagrasses Overview. Guampedia.com. Reconnecting People & Nature this Science Sunday! How do you feel after you go for a hike or snorkeling at the beach? Don’t you just feel calm, relaxed, stress-free. It’s that positive, serene energy that we feel when we’re experiencing (and appreciating) nature. Now, expand on that thought..
What motivates us to volunteer to plant trees? Or to join the Guam Community Coral Reef Monitoring Program to collect data on reef flat health? Or just to do anything knowing that it will help our natural environment? That drive to “do something” seems natural. Of course, the world is more beautiful with lush vegetation and amazing coral reefs, but ultimately our life depends on these natural resources. It’s all about reconnecting people and nature this Sunday. Guest speaker Romina King will share her thesis that examined communities’ attitudes, knowledge, and perceptions of their watershed. Conservation and natural resource management isn’t just about protecting animals in this or that ecosystem. The bottom line is that it’s about PEOPLE and their well-being, long-term. Sometimes the connection between natural resource management and community needs are blurry or confusing. But the more we “connect the dots” between human benefits and natural resource management efforts, coastal management can be more effective to ensure communities’ are prepared for long-term challenges, like climate change. 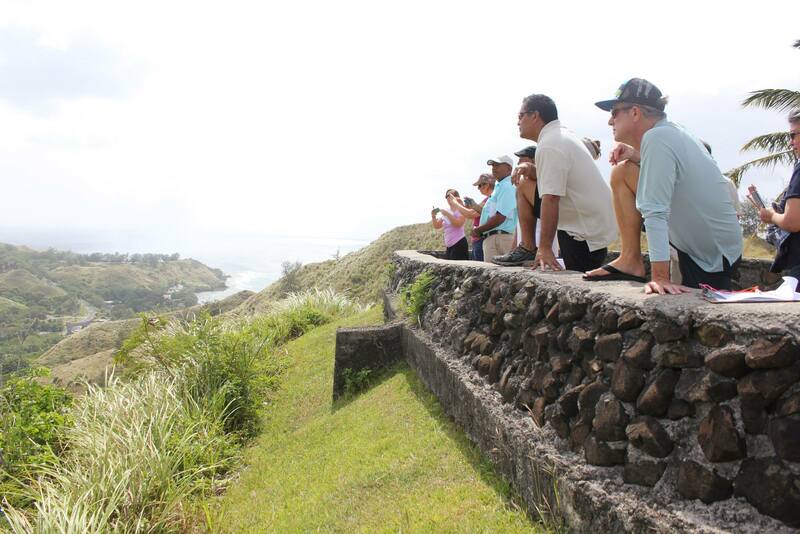 It will lead to more public awareness, understand, support, and even more active community participation that will help make Guam’s people mature and grow as the natural stewards of our environment. Since this original entry, Guam has experienced three more mass coral bleaching events. 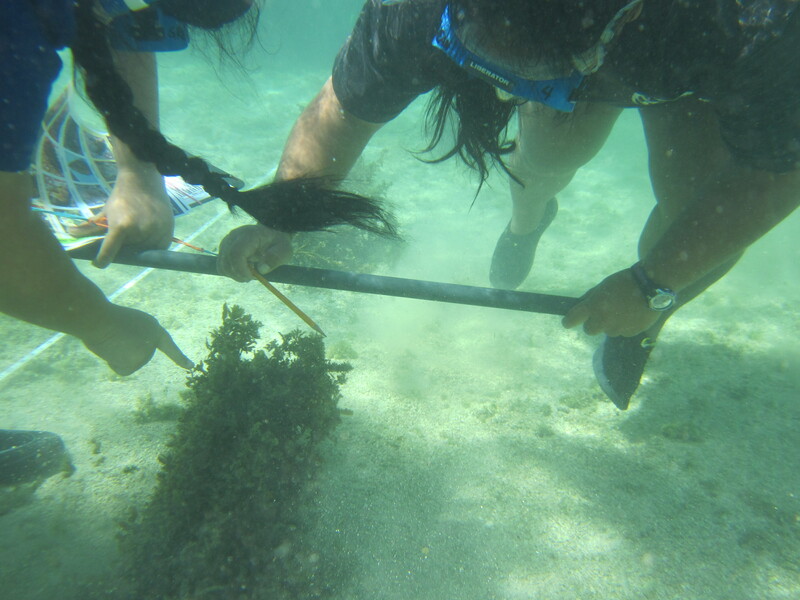 In 2015, the Eyes of the Reef Marianas (EOR Marianas) was established as a community-based early warning system to invite all ocean users to report coral bleaching and other reef impacts online. Visit eormarianas.org to learn more or to make a report. The effects of climate change are a rising concern for Pacific Islanders who find themselves on the front lines. The livelihoods of our brothers and sisters on neighboring islands have been impacted through increased occurrences of droughts and king tides. What about here on Guam? Have we felt the effects of climate change yet? The answer is YES! Increased and early coral bleaching is only one of the effects brought on by climate change. What is coral bleaching? Coral bleaching occurs when sea water temperatures are too hot or too cold causing corals to stress and expel their zooxanthellae, a special algae that lives in corals, is their main food source, and gives corals their beautiful color. 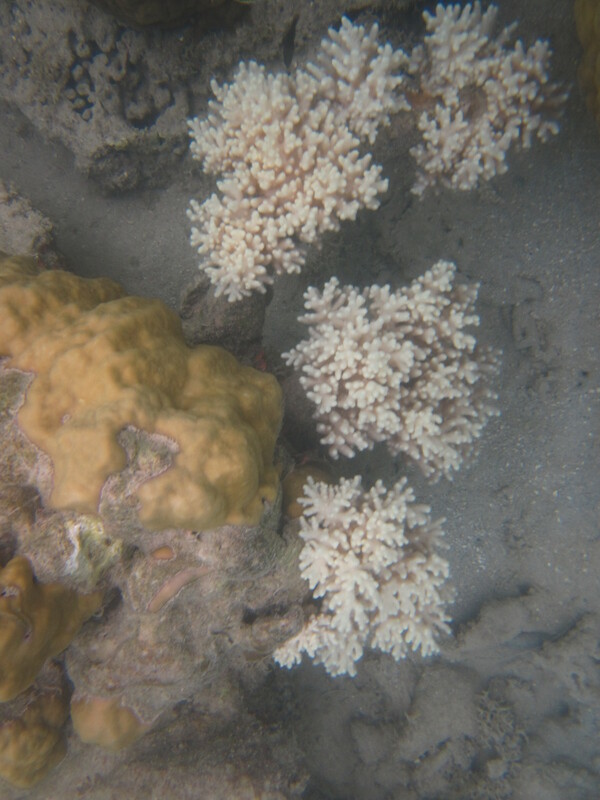 Corals begin to pale and turn stark white when they’re bleached. But there is hope! Corals can survive and recover, but that can take a long time. Last year, Guam and CNMI had a significant coral bleaching event. Even more alarming is the fact that Guam and CNMI were seeing early reports of coral bleaching. Local marine biologist usually expect to see paling/ bleaching corals around October, but there were reports as early as August in 2013. 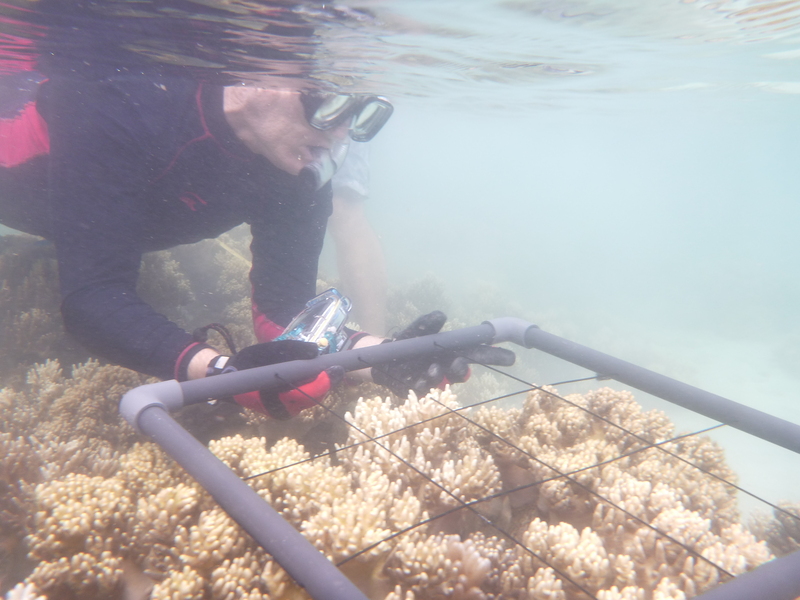 GCCRMP members attended an information session on coral bleaching and helped document bleaching corals at our regular monitoring site at the Piti Bomb Holes Marine Preserve. Members learned how to identify coral bleaching and they can report sightings of coral bleaching. 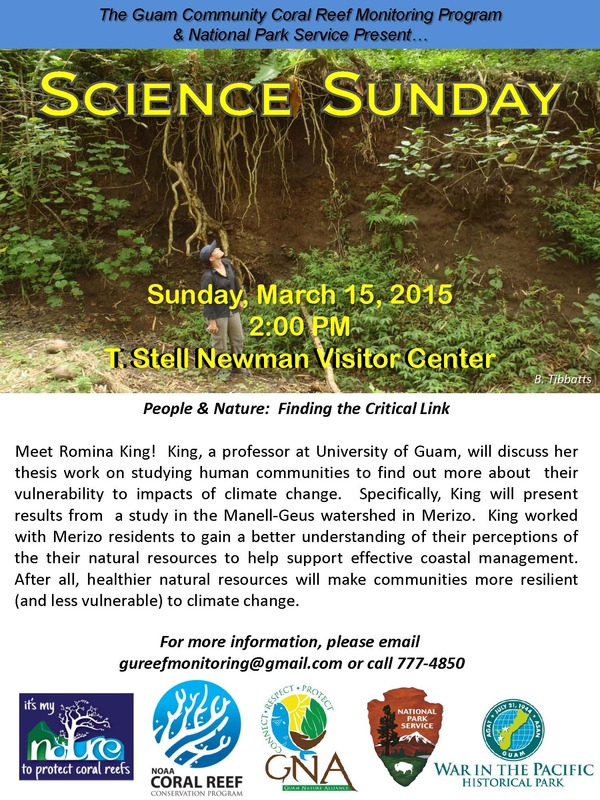 Additionally, Roxanna Miller kicked off our first Science Sunday program with a public talk on coral bleaching. She shared photos and tips on how to identify bleaching or paling corals. This summer only added to concerns from marine biologists and new concerns brought up by community members. This year, there were reports of coral bleaching as early as June. If you’ve been snorkeling at Ypao Beach this summer, you probably saw large colonies of staghorn corals that were very white or pale-looking. Other areas where coral bleaching has been sighted around Guam is Tumon, Piti, Umatac, and also in Merizo. Last Saturday, GCCRMP members started conducted monitoring surveys in soft coral habitat to help quantify soft coral bleaching in Piti. In addition, members have participated in another reconnaissance survey to look for diseased/sick echinoderms, such as sea cucumbers and sea stars. We’ll continue to work with GCCRMP members to do surveys that can help quantify coral bleaching and track recovery of bleached corals. Ultimately, more Guam residents are aware of the effects of coral bleaching to our reefs and understanding its connection to climate change. GCCRMP members have shared stories of relatives or neighbors asking “why are the corals white?,” which has given them an opportunity to share what they know about coral bleaching. Want to become a member and help our team collect data? Email gureefmonitoring@gmail.com or message us on Facebook. In this video, GCCRMP members share what they hope to gain from the Learning Exchange that takes them to Hawaii. Main goal of the Learning Exchange: to explore different ways of working with their communities to promote environmental stewardship through conservation and education. Check out these other videos of experiences from Hawaii here. Time flies when you’re having fun! It’s almost the end of March! 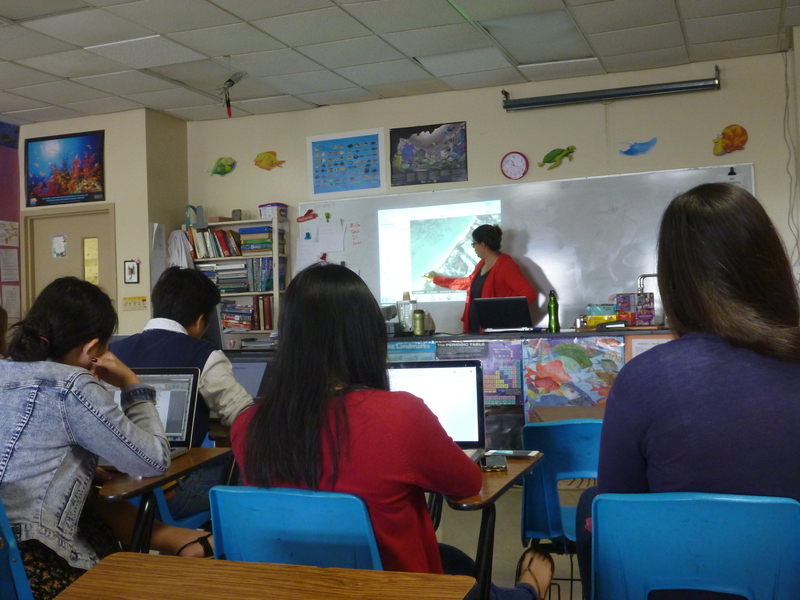 Even though the early months of 2014 were met with rough marine conditions, we still hosted classroom training sessions and also Science Sunday talks. And we’re really excited progress made with various school groups we’ve partnered with that want to monitor coral reefs around Guam. St. John’s marine biology students will begin monitoring Tumon Bay. GCCRMP staff met with St. John’s students to help develop their hypotheses in order to figure where to set up their monitoring site. Students collectively decided they wanted to investigate the difference in coral and macroinvertebrate communities near fresh water seeps. At our next session, we met at a beach in Tumon to locate fresh water seeps and mark our location using a GPS unit. Students also noted features near fresh water seeps. Next step, we will help set up St. Johns monitoring site so that we can begin data collection. With summer approaching, we can expect calmer marine conditions. Hooray! We’ve also been working with Guam’s college students from Guam Community College (GCC). 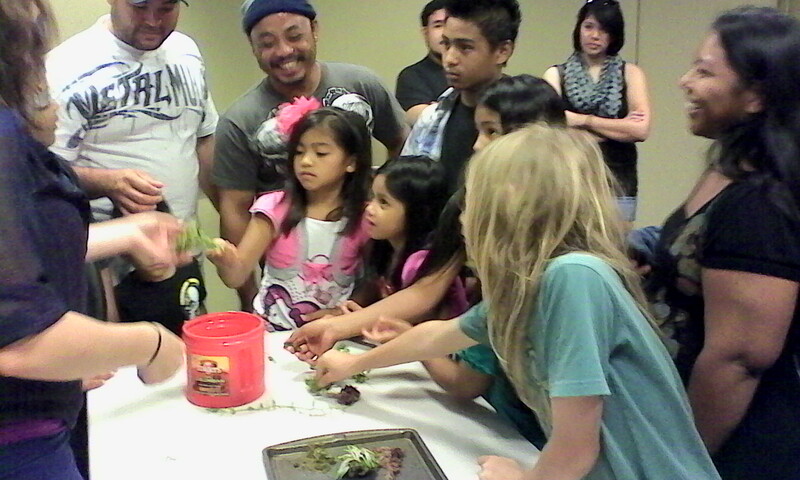 GCC marine biology students and environmental club Eco-Warriors (and some family members too!) selected coral reef monitoring for their service learning project. 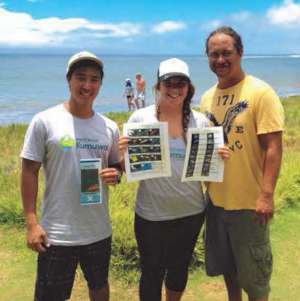 GCC students did in-water training and recently collected data at Pago Bay. They will be comparing two different sea grass habitats in Pago Bay and another area in southern Guam by analyzing data collected on benthic cover and macroinvertebrate surveys. We will be doing data collection this Saturday, March 29, from 9 -11am at Tepungan Beach Park. So if you have completed Classroom and In-Water Training, then you can participate! If it’s been a while, don’t worry! We always do a recap on methods before heading out to the water. If you want to become a member of the GCCRMP team, email gureefmonitoring@gmail.com or call Marybelle Quinata, the program coordinator, at 646-1905 for more information.